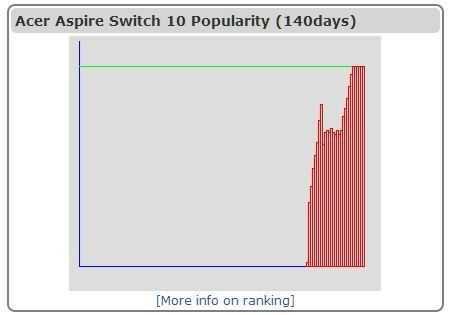 It’s rare that a new offering in the ultra-mobile PC space races to the top of the charts so quickly but that’s what has happened with the new Acer Aspire Switch 10 over the last two weeks. The previous generation Iconia W510 is about to drop off the bottom of the top 10 so it’s perfect timing for Acer. They’ve got some competition though and there’s little information out there about the finer points of the device like disk performance and screen quality…apart from one that’s just been published by the good people at Tabtec.de. 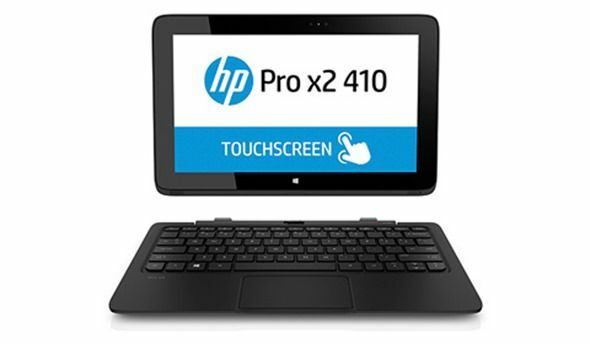 HP’s 2-in-1 range is expanding with the HP Pro x2 410 which appears to be a variant of the HP Pavilion X2. Official details aren’t yet available but HP does have a teaser page up which calls it a notebook. Reports from other tech news sites say it’s fanless, has an additional battery in the keyboard and weighs 3.43 pounds in total. If Intel and friends can pull-off the dual-OS trick in a slick way they’ll have a valuable selling point and a ‘bridge’ between the app-gap in Windows and the consumer richness of Android. Ramos already have a set of Intel-powered Android tablets in China but the Ramos i10 Pro is said to be coming with a dual-OS option on a Baytrail core. 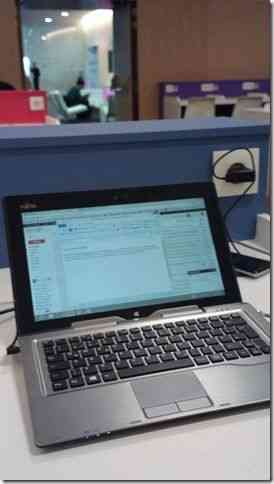 At the Intel Software Summit this week I had the chance to use the ASUS Transformer Book T100 for a day. I was very impressed at the performance level, quality and battery life but handed it back thinking it would work better as a productive device in an 11.6-inch version – as long as the tablet was the same weight. To add to my previous hands-on then, I was impressed by the USB charging. A lightweight charger is a bonus although charging speeds are fairly slow. It will rarely need charging in the day though because after 8hrs of a ‘on’ at a conference (with about 4.5hrs screen-on) I had 40% battery free. I also got the chance to test WiDi. It works! I will say a word about the keyboard and touchpad. 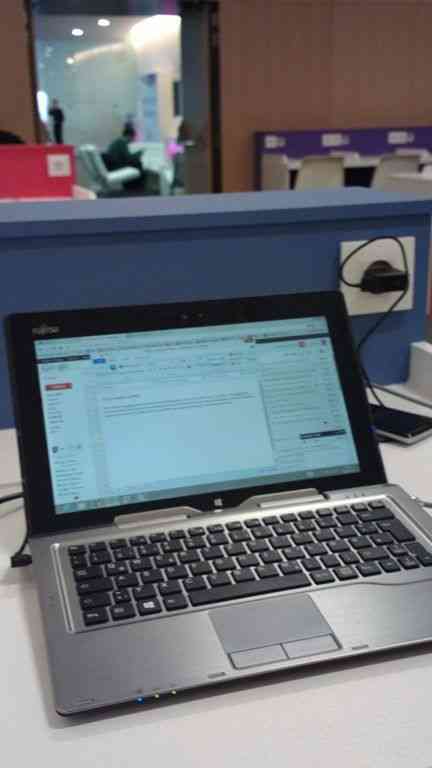 I felt that I was really back in that awkward netbook zone again as I used it. 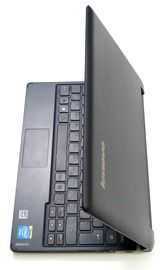 it was cramped and the touchpad was very basic. it’s a shame because this platform supports productive working. A boost to an 11-inch screen and a larger keyboard could be the answer for those wanting the best in dynamic-range. 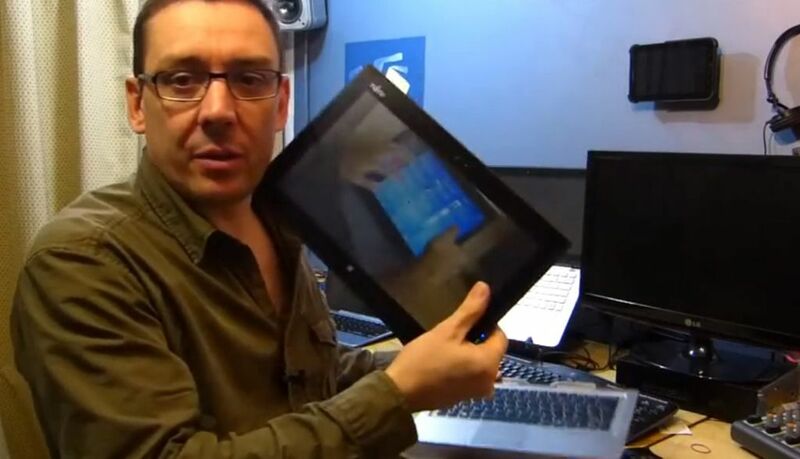 Obviously the Dell Venue Pro 11 is a hot contender here, and available very soon. 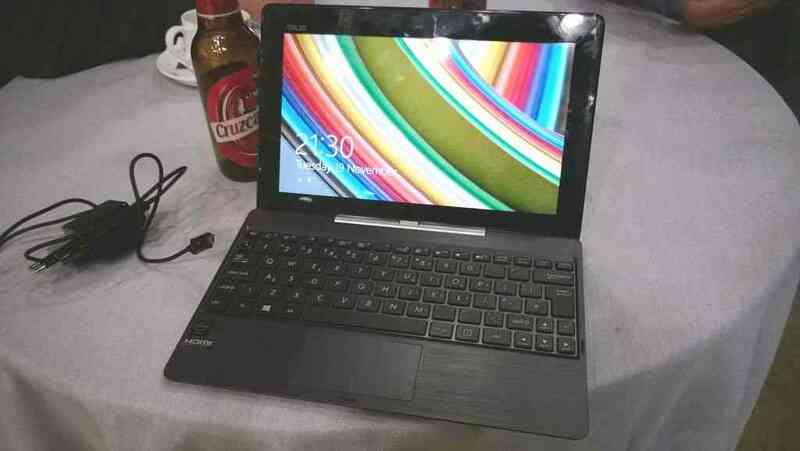 The ASUS T100 is the rare thing that is a bargain AND a ground-breaking product. ASUS’ price is so aggressive that it will, without a doubt, catalyse a big 2-in-1 device category just like it did with the netbook category. This time round though I feel it’s going to be a bigger, longer-lasting category. There’s no device size or specification restrictions this time round. Where netbooks peaked at about 50 million sales a year, I expect the 2-in-1 category to be much bigger and to last much longer. 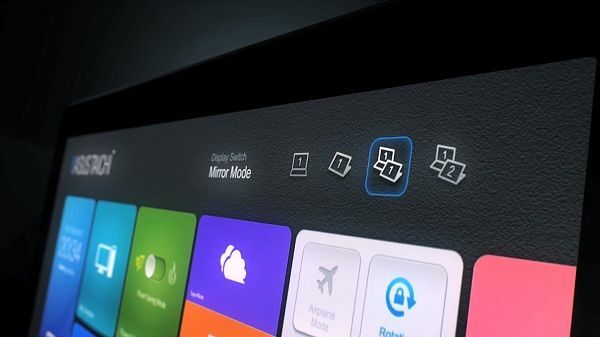 Developers, pay attention because there are already app opportunities related to the T100. ASUS Transformer Book Trio TX201. This Unique 2-in-1 is nearing availability. The ASUS Transformer Book Trio arrives in Europe soon. 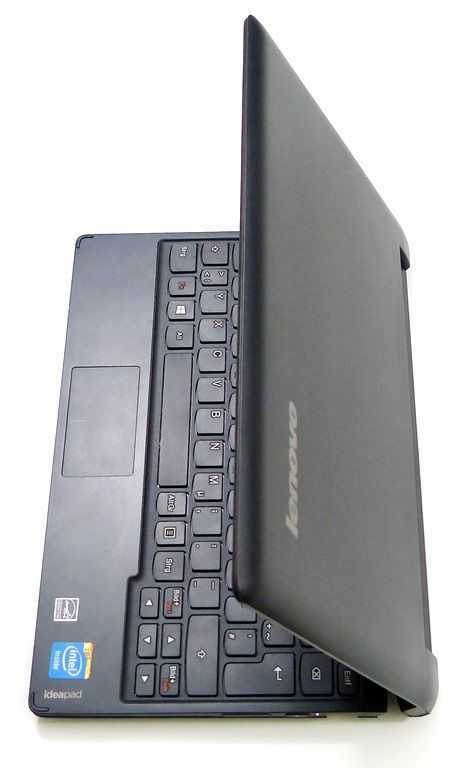 999 Euro ( 839 pre 19% tax / 1133 US dollars) buys you a tablet and keyboard dock along with two processors, two operating systems, two drives, two WiFi modules and more. 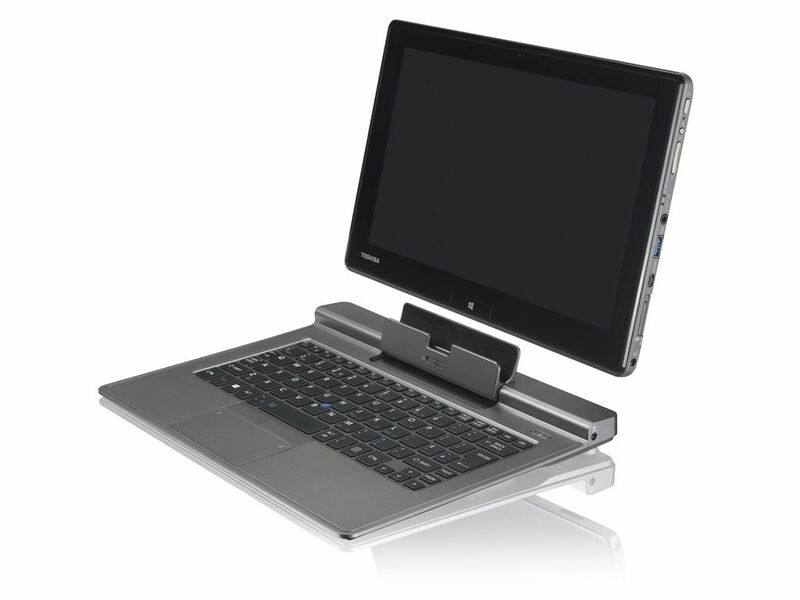 The tablet runs Android on a Clovertrail platform (not the latest BayTrail) and can dock to the keyboard where it can also act as a screen for Windows 8 on a Core i5 processor. It’s a multifunction device that needs careful consideration. The Toshiba Z10T has officially launched in Germany. This pro-level detachable is due in Q2 with what we believe is one of the new low-power Ivy Bridge CPUs. 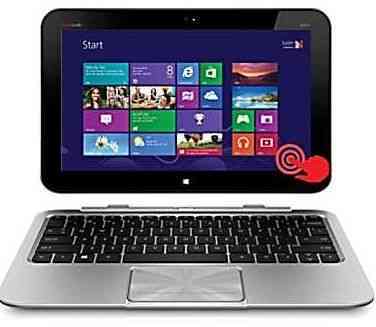 It will go head-to-head with the Fujitsu Q702, the Lenovo Helix, Samsung ATIV 700T and, if it ever reaches the market in quantity, the ASUS Transformer Book. It was a big and detailed review I admit but the Fujitsu Q702 is a complex bit of kit and even in 3000 words I missed out some detail about VPro and the security features. However, I know some of you want a quick way to asses the Fujitsu Stylistic Q702, either for work or your personal use so I’ve put together a video for you. The Fujitsu Q702 review video. Of the laptop-like dockable Clovertrail tablets there are two that stand out. 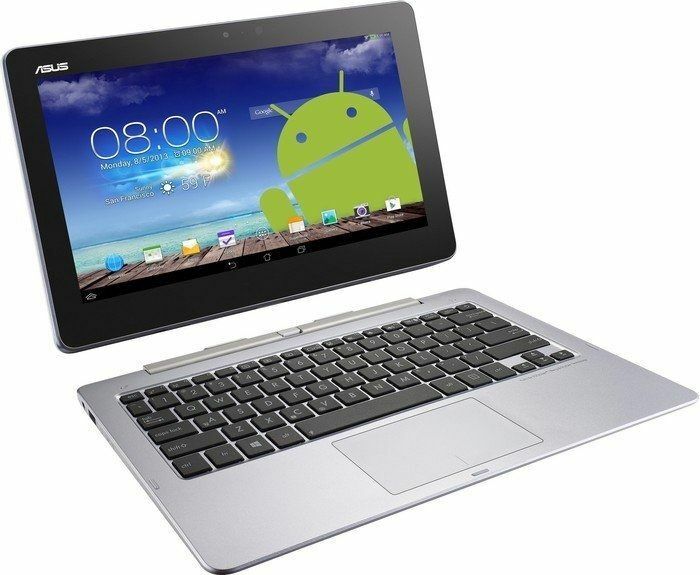 The ASUS VivoTab TF800 has a great keyboard, a stylish build and that all-important battery in the keyboard unit. The HP Envy is also up there and last week at CeBIT I had some quiet time alone with it thanks to the Intel booth. I really like it. 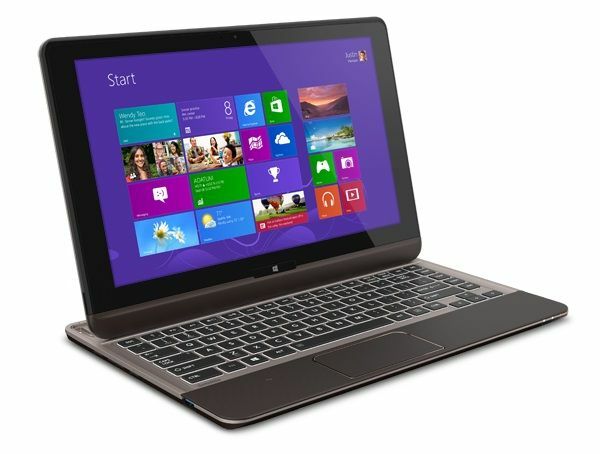 I like it even more today as I’ve just found a price of $599 for the 64GB unit with keyboard. 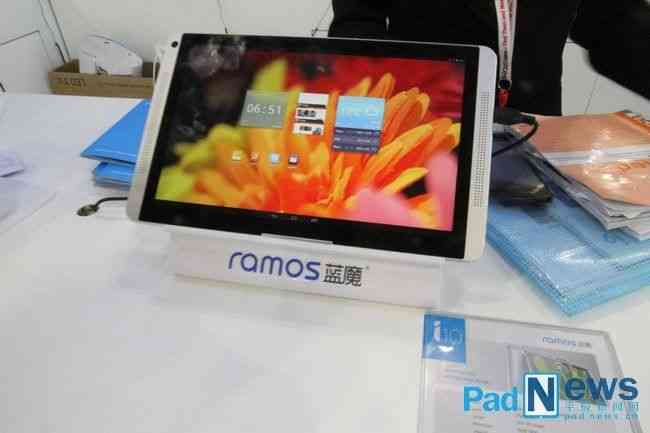 After all the Clovertrail testing last week the plans to take a consumer tablet to MWC took a turn at the last minute. The Fujitsu Q702 turned up for testing and it bumped itself to the top of the list based on some amazing specs; the first and most important of which is a total 70Wh battery with 44Wh of that as a replaceable in the base. Hot-swap goodness! 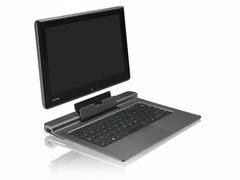 Depending on your stance, this Fujitu Q702 is either a 11.6 inch ultra mobile PC â€“ a tablet that weighs 850gm and includes a full Core i5 platform, or an Ultrabook when docked. At 1700 Euro this is not something you buy without thought but here are a few things that might tempt you. My unboxing video is here. In yesterdays test I got a good 6hrs of work out of the Fujitsu Q702 with about an hour to spare. I have the mains cable with me today but it will probably stay in the hotel tomorrow. My apologies to those who wanted some Clovertrail action. It was a risk that I was prepared to take but when the Q702 turned up, there were to many reasons to take it instead. For information on what I’m doing at MWC this week, see this post at Ultrabooknews. Toshiba has made available their only Windows 8 touchscreen Ultrabook, the Toshiba Satellite U925T. 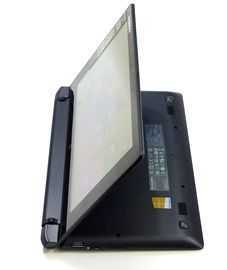 This is a hybrid slider which also goes by the name U920T depending upon the region. Chippy got a great hands on of the U925T back at IDF 2012 in September and the design seems unchanged since then. This is one of a few hybrid Ultrabooks currently shipping with NFC. Asus has prepared a full device assault to coincide with the launch of Windows 8. Tomorrow at 2PM EST the company will be unveiling their Windows 8 lineup at their Windows 8 touch teaser site. Though Asus is trying to tease the identity of the lineup (see icons below with no names) a quick look into the website source reveals the names of these devices: TaiChi, Transformer Book, Zenbook Touch, Vivo Book, and Vivo Tab (not that we couldn’t have guessed before!) [there’s also an AIO touchscreen desktop but that doesn’t really concern us! ].